TEAC launches new Reference 301 desktop audio series | What Hi-Fi? 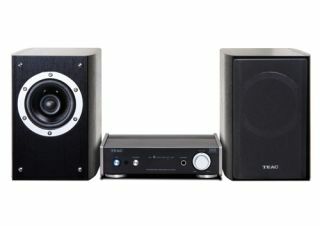 With more people listening to their music through their desktop computers, TVs and smartphones, TEAC has unveiled its brand new Reference 301 series of mini hi-fi components. The range features two components – an integrated amp and a digital-to-analogue converter (DAC) – and a pair of loudspeakers, all of which are now available to buy. We start with the AI-301DA, which is a stereo amplifier with aptX Bluetooth, USB and built-in DAC costing £399 and housing a 2 x 40W Class-D ICE power power amp. It offers 2.8MHz/5.6MHz DSD native playback and 32-bit/192kHz high-resolution audio support, while its aptX Bluetooth codec lets you stream music from a range of devices. Meanwhile, coupling capacitor-less technology is installed to boost sound quality if you want to listen with headphones and the unit also has coaxial and optical digital inputs. The UD-301 dual mono, DSD-capable 32-bit/192kHz DAC will also set you back £399 and has the same high-res support as the AI-301DA, as well as 192kHz up-conversion. Its dual monaural design aims to remove interference between the left and right channels, with the device able to be directly connected to a power amp or active speaker. Other features include a toroidal core power transformer and XLR balanced outputs and RCA output can be set to fixed, adjustable or off to increase the unit's versatility. And completing the Reference 301 series is the LS-301 two-way coaxial loudspeaker system, developed using 'trickledown' technology from TEAC's flagship S-300NEO. The speakers come with 10cm woofer and 2cm silk-coated tweeter using the Air Direct Center Pole System, and can reproduce high frequencies up to 40kHz. Available for £299, the speakers are designed to work with the AI-501DA amplifier and features coaxial driver technology to provide "a superb sense of sonic cohesiveness".